Another stunning sneaker from Jordan Brand is expected to make a lot of noise next month as the new edition of the Jordan As-You-Go hits the market. 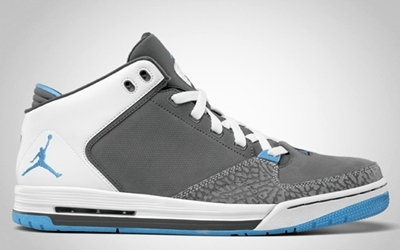 The Jordan As-You-Go will be coming out in Cool Grey/University Blue-White colorway, which is arguably one of the best, if not the best colorway of the shoe. The silhouette features the famous cool grey and university blue touches combined with the elephant print to produce a cool sneaker. Watch out and make sure to grab one. This one is a must buy! Air Jordan Spizike Set to Make Noise Soon!